The Medaris Ridge trail is located in New Castle, Colorado. The trail is part of the Medaris group of trails that include Medaris Ditch, East Medaris, West Medaris, Pub View and Salty Dalty. 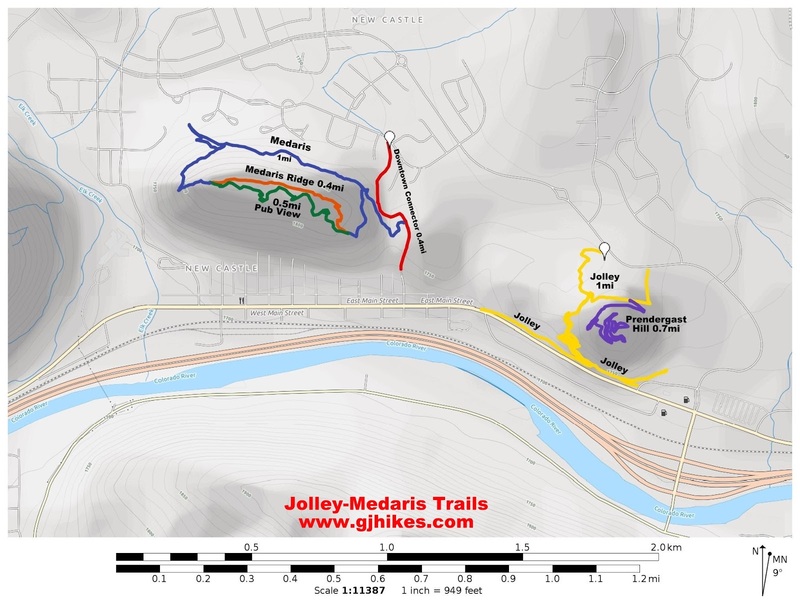 The trails travel around and over Mount Medaris which is a prominent hill in the Grand Hogback Ridge that separates the downtown area of New Castle from the Castle Valley area. There are several routes that can be taken to get up to the Medaris Ridge trail. 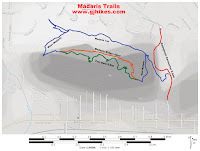 For this post we traveled around the north side of the mountain along the Medaris Ditch segment and then climbed up the West Medaris trail to where the Medaris Ridge and Pub View trails both meet up on the west end of the ridge. Most of the work is done by the time you make it up to the Medaris Ridge trail. The trail has a couple of rocky outcrops but for the most part it is smooth going. With almost all of the New Castle area viewable on one side of the ridge or the other this prominent point is probably the best place to see the entire layout of the town. Even the narrowest stretch of the hogback is plenty wide enough for the trail. Getting down from the ridge on the east end of the mountain is a lot easier than it was coming up the West Medaris trail. A couple of easy switchbacks coupled with mostly gradual descents keep it moderately easy in both directions. Traveling in this direction the Medaris Ridge trail comes to an end at a 4-way intersection with the Pub View, Salty Dalty and East Medaris trails. 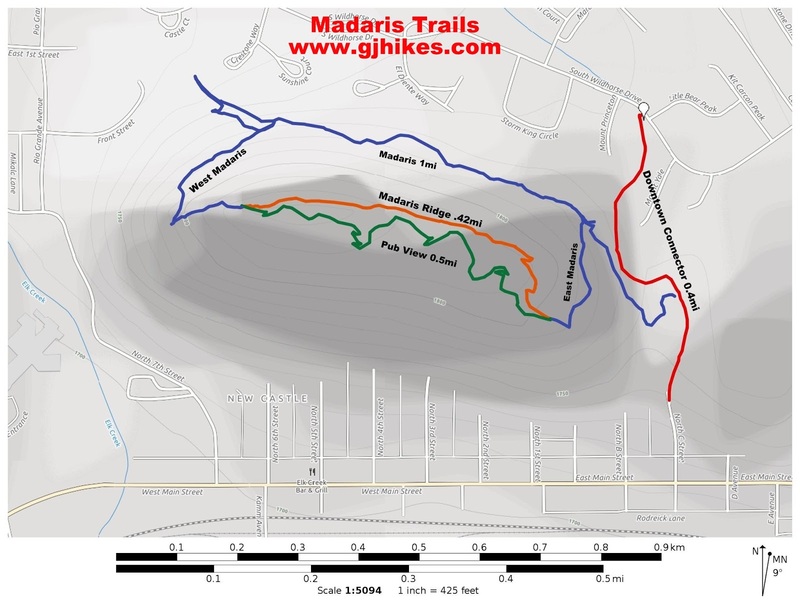 Besides having some of the best views in town the Medaris Ridge trail serves as a good connecting route when combined with the other Medaris trails. 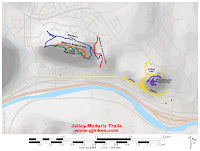 It should be well suited for trail runners, mountain bikers or as a family hike for those looking to enjoy the outdoors in and around the town of New Castle and get a good physical workout while they are at it. If you would like to see it for yourself then all you have to do is 'Take a hike'.